Jeep designers appear to be trying to drop pounds from the Wrangler. Speaking to reporters after Fiat Chrysler Automobiles' marathon business plan presentation, Marchionne said Chrysler would be watching Ford's rollout of its aluminum 2015 F-150 very closely to gauge market acceptance. But he said there were "better uses" for aluminum bodies at Chrysler besides its hot-selling Ram pickup. Asked by Automotive News if there is a better use for the lightweight metal in Chrysler's lineup beyond the Wrangler, Marchionne was succinct: "No." 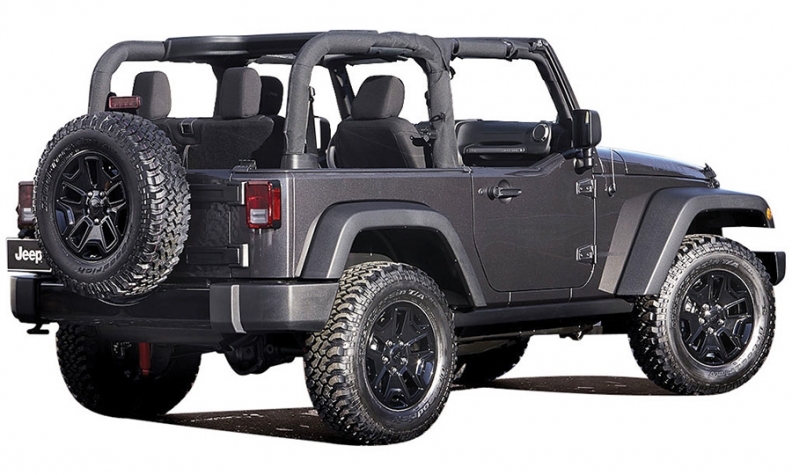 The redesigned Wrangler is due to enter production in 2017 for the 2018 model year. If Jeep is to meet its corporate average fuel economy goals, the body-on-frame Wrangler should become more fuel efficient than its current 17 city/21 highway mpg rating for the two-door 4x4 models. The 2014 Wrangler's weight ranges from a low of 3,785 pounds for the two-door 4x4 to a high of 4,340 for the Wrangler Unlimited Rubicon 4x4. For comparison, the 2014 Jeep Cherokee 4x4, with lighter unibody construction, weighs 4,044 pounds. Its mpg rating is 19 city/25 highway. Jeep designers and engineers have already been working on the next-generation Wrangler for months. Earlier engineering job postings indicated that they are attempting to shed pounds and add room for additional powertrain options, such as an eight-speed automatic transmission and possible diesel engine. Marchionne and Jeep head Mike Manley said in January that the next-generation Wrangler's design was to be finalized by spring. Fiat Chrysler's latest plan: Realistic or unreal?